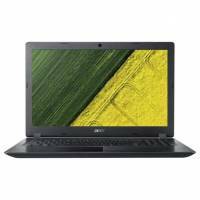 Ноутбук Acer Aspire A315-51-32V4 (NX.GNPER.029) (15.6", 1920x1080, Intel Core i3 7020U (двухъядерный) 2.3GHz, 8Gb, 1Tb, Intel HD Graphics 620, Wi-Fi, BT, Cam, Linux, obsidian black) 12 33 090р. 31 751р. 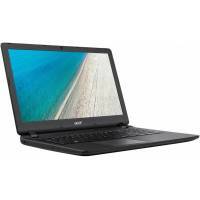 Ноутбук Acer Extensa 15 (EX2540-303A) (15.6", Intel Core i3-6006U (двухъядерный) 2GHz, 4Gb, 1Tb, Intel HD 520, Wi-Fi, BT, Cam, Linux, black) 12 26 890р. 25 775р. 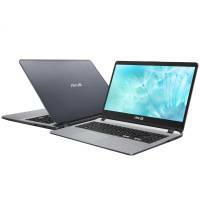 Ноутбук ASUS X507M (X507MA-EJ057) (15.6", 1920x1080, Intel Pentium N5000 (четырёхъядерный) 1.1GHz, 8Gb, 128Gb SSD, Intel UHD Graphics 605, Wi-Fi, BT, Cam, Linux, grey) 12 27 090р. 25 947р. 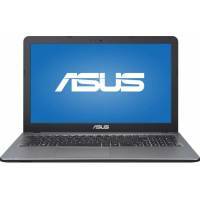 Ноутбук ASUS X540M (X540MA-DM141) (15.6", 1920x1080, Intel Pentium N5000 (четырёхъядерный) 1.1GHz, 4Gb, 256Gb SSD, Intel UHD Graphics 605, Wi-Fi, BT, Cam, Linux, black) 12 27 990р. 26 904р. 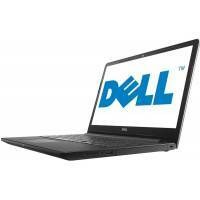 Ноутбук DELL Inspiron (3573-5475) (15.6", Intel Pentium N5000 (четырёхъядерный) 1.1GHz, 4Gb, 1Tb, Intel UHD Graphics 605, DVD-RW, Wi-Fi, BT, Cam, Linux, black) 12 20 690р. 19 805р. 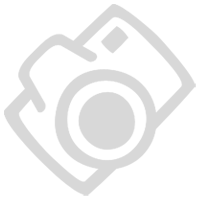 Ноутбук DELL Inspiron (5570-5857) (15.6", 1920x1080, Intel Core i7 8550U (четырёхъядерный) 1.8GHz, 8Gb, 128Gb SSD + 1Tb HDD, AMD Radeon 530 4Gb, DVD-RW, Wi-Fi, BT, Cam, Linux, black) 12 58 890р. 56 515р. Ноутбук HP 17-by0000ur (4JU92EA#ACB) (17.3", Intel Celeron N4000 (двухъядерный) 1.1GHz, 4Gb, 500Gb, Intel HD Graphics 600, DVD-RW, Wi-Fi, BT, Cam, DOS, black) 12 22 390р. 21 456р. 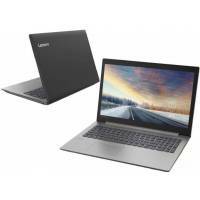 Ноутбук Lenovo IdeaPad 330-15ARR (81D200C5RU) (15.6", 1920x1080, AMD Ryzen 3 2200U (двухъядерный) 2.5GHz, 8Gb, 1Tb, AMD Radeon Vega 3, Wi-Fi, BT, Cam, DOS, platinum grey) 12 31 990р. 30 724р. Ноутбук Lenovo IdeaPad 330-15ARR (81D200CURU) (15.6", 1920x1080, AMD Ryzen 5 2500U (четырёхъядерный) 2.5GHz, 8Gb, 1Tb, AMD Radeon Vega 8, Wi-Fi, BT, Cam, DOS, onyx black) 12 39 990р. 38 390р. 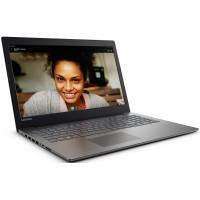 Ноутбук Lenovo IdeaPad 330-15AST (81D6008MRU) (15.6", AMD A9-9425 (двухъядерный) 3.1GHz, 8Gb, 128Gb SSD, AMD Radeon R5, Wi-Fi, BT, Cam, Win10, onyx black) 12 27 690р. 26 547р. 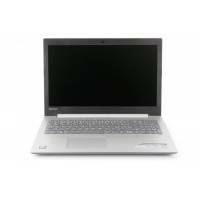 Ноутбук Lenovo IdeaPad 330-15IGM (81D1002LRU) (15.6", Intel Celeron N4000 (двухъядерный) 1.1GHz, 4Gb, 500Gb, Intel HD Graphics, Wi-Fi, BT, Cam, Win 10 Home, black) 12 18 990р. 18 045р. 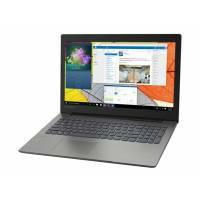 Ноутбук Lenovo IdeaPad 330-15IGM (81D1003KRU) (15.6", 1920x1080, Intel Pentium N5000 (четырёхъядерный) 1.1GHz, 4Gb, 128Gb SSD, Intel HD Graphics 605, Wi-Fi, BT, Cam, Win 10 Home, onyx black) 12 28 990р. 27 830р. Ноутбук Lenovo IdeaPad 330-15IGM (81D1003MRU) (15.6", Intel Pentium N5000 (четырёхъядерный) 1.1GHz, 4Gb, 500Gb, Intel HD Graphics 605, Wi-Fi, BT, Cam, DOS, onyx black) 12 22 790р. 21 870р. 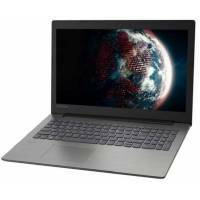 Ноутбук Lenovo IdeaPad 330-15IGM (81D1003SRU) (15.6", 1920x1080, Intel Pentium N5000 (четырёхъядерный) 1.1GHz, 4Gb, 1Tb, AMD Radeon R530 2Gb, Wi-Fi, BT, Cam, DOS, onyx black) 12 23 690р. 22 745р. Ноутбук Lenovo IdeaPad 330-15IGM (81D10087RU) (15.6", Intel Pentium N5000 (четырёхъядерный) 1.1GHz, 4Gb, 500Gb, Intel HD Graphics 605, Wi-Fi, BT, Cam, Win 10 Home, onyx black) 12 22 390р. 21 450р. 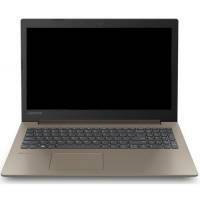 Ноутбук Lenovo IdeaPad 330-15IGM (81D100HWRU) (15.6", Intel Celeron N4000 (двухъядерный) 1.1GHz, 4Gb, 128Gb SSD, Intel UHD Graphics 600, Wi-Fi, BT, Cam, DOS, chocolate) 12 19 180р. 18 413р. Ноутбук Lenovo IdeaPad 330-15IKB (81DE01AURU) (15.6", 1920x1080, Intel Core i5 8250U (четырёхъядерный) 1.6GHz, 4Gb, 1Tb, Intel UHD Graphics 620, Wi-Fi, BT, Cam, Win 10 Home, onyx black) 12 37 990р. 36 470р. Ноутбук Lenovo IdeaPad 330-15IKB (81DE01H2RU) (15.6", 1920x1080, Intel Core i5 8250U (четырёхъядерный) 1.6GHz, 4Gb, 128Gb SSD + 1Tb HDD, nVidia GeForce MX150 2Gb, Wi-Fi, BT, Cam, Win 10 Home, onyx black) 12 47 305р. 45 413р. 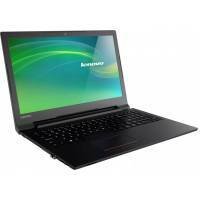 Ноутбук Lenovo IdeaPad V110-15ISK (80TL0184RK) (15.6", Intel i3 6006U (двухъядерный) 2.0GHz, 4Gb, 128Gb SSD, DVD-RW, Intel HD Graphics, Wi-Fi, BT, Cam, DOS, black) 12 27 990р. 26 870р.